What is Up with 2012? Is the end of the world coming? Could this be it. Here we are people, in the year that has been labeled the end of the world. We faced Y2K and nothing happened, it was just a computer year change issue we faced then. We got on the ball and fixed the problem, no big whoop. So what is the deal with 2012? 2012 is the year that the Mayan Long Count Calendar ends. So what is the big deal about a long dead cultures calendar? Well it is known that the Mayans were astronomers tracking heavenly movements and anomalies so that they could better predict when cycles and patterns like floods, droughts, and other natural cycles would occur. They kept very accurate records of passing time by creating a very complex and accurate calendar. So because their calendar ends in 2012 it is said that the end of the world will happen when their calendar runs out. Many conspiracy theorists believe this because the Mayans kept such accurate records. Why would a society of people end their calendar (a calendar even more accurate than our current Gregorian Calendars in use today) on 2012? They tracked natural cycles, so is it possible that the Mayans knew something was going to happen? Most modern day Mayans believe that 2012 is not the end of the world but the beginning of a new cycle. So to know what is going to happen we need to look at what has happened. Other conspiracy theorists believe it is the foretelling of a major natural disaster on a planet sized scale like an impact event from a comet or asteroid or some other run away natural disaster that will wipe out humanity. Others think this will happen because we are going to be in alignment with the center of our galaxy. That this alignment with the galactic center will have gravitational effects that will impact the planets natural rhythms. They believe the magnetic poles will shift and that this will lead to violent platonic shifts. There is a sobering thought though, the solar cycle peaks in 2012 / 2013 and it may be that we could experience a major solar event that could shut down commerce and effect our living situation because our use of technology. The truth is we don't know what or if anything will happen or not. But do we leave our fate up to chance? We've all watched those end of the world movies where the huge meteor or comet is coming to end life as we know it. We've seen the specials aired for our entertainment on the discovery channel and other science programs like NOVA, but what does knowing about them do for us? The question of how will it happen haunts us? A pandemic that kills off billions? A blinding flash of atomic fire? A mountain sized meteor smacking into the Earth at twenty five thousand miles per hour? Or will it be sea levels rising or a new ice age? 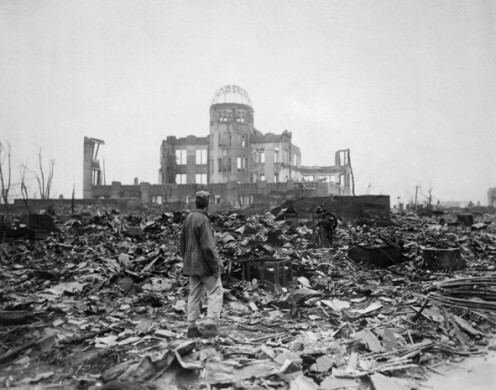 There are so many different scenarios, so many different ways in which humanity can be destroyed. But the real question is this, will you be ready for when it happens? Most of us wouldn't know the first thing about how to survive a catastrophe much less the end of the world. Watching an English survivalist on television is not going to turn you into Mad Max and allow you to survive. So what's the point? If the end of the world as we know it does come then what can we do about it? The only thing one can do is be prepared. So you won't be out there putting on a bear skin coat and sharpening sticks to make it I have written this article. This hub article will explain how you can prepare for the absolute worst case scenario from localized disasters like earthquakes, and hurricanes to a catastrophic event like a meteor impact. Always have the things you need on hand. The most important thing to have so you won't die from exposure. Do you concider the information in this hub article useful in your opinion? Oh crud, the fits hit the shan and you are still alive. What should you expect to happen next? Well with humanity on the brink, the world's infrastructure demolished, resources now hoarded or scarce the only thing one can do in a situation like this one is have your own plan to make it through the troubled times ahead. You have to be prepared for anything... knowledge will be your best friend now and it will get you through even the hardest times. These things are your priorities. Keep that in mind when planning your survival routine! I'm sorry but there is nothing you can do about the air situation. So the end is near, humanity is going into the brink so what the heck should we do about it? Well get ready! With all the crazy stuff going on in the world all the time it is probably a good idea to have your ducks in a row when it comes to survival. I'm not saying go out and spend a hundred grand on a bomb shelter in Wyoming but having a plan and a place to go is probably a good idea. If you live in a city like New York or Los Angeles your best bet is to have a preplanned escape route outside the normal busy corridors that most motorists are going to be using. Find a more rural route out of the city and have a safe zone somewhere in the country. I'd stay clear of touristy mountain retreats and camp grounds. The best thing to do is get yourself a BLM map and find a nice piece of ground some place in good to moderate terrain deep in the woods away from the craziness of the fleeing masses. You'll want to make sure that your location has fresh water, that is an essential. Make sure it doesn't get to cold where you are going or that it gets so hot nothing grows. 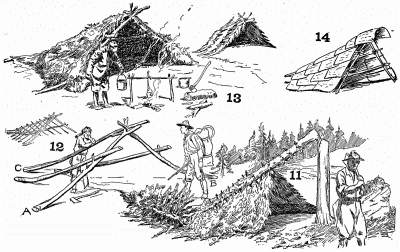 You want moderate terrain, water, and readily available materials to build a shelter. 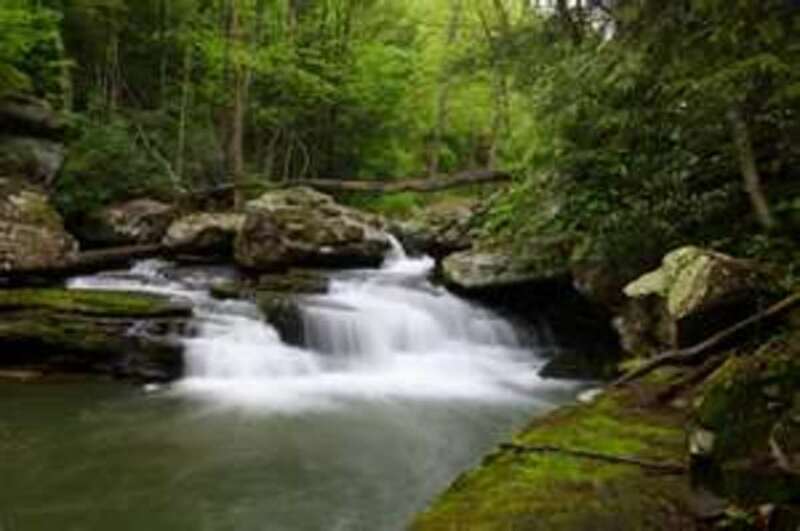 You will also want to scout this place out before you head off into the woods to seek your refuge. Have a place prepared for your arrival. Have things stored at the site. This will at least give you the knowledge and the peace of mind that if something horrible is going down you will at least have a place and a plan to put into action once it does. Stay in your home as long as you possibly can. Use the homes resources first, turn on your water in your tub and fill the bathtub, fill all the sinks, remember you have water in your water heater and in the basin of your toilet tank. Have propane or charcoal for your Bar B Q and cook anything that may spoil from your fridge. Stay inside for at least a week and keep a low profile. Remember people will start to get desperate within a few days of the disaster. You should have a place to go or at least an idea of a safe zone away from prying eyes but close enough to readily available resources such as water and defensible terrain good enough to grow on. Have something you can use to transport your supplies like a hand wagon with bike tires. Have some supplies buried at your predestined safe zone where only you know where it is. (start now and pick out the spot and visit there, find where you'd want the supplies to be and then get to storing it). When the power is down cooking and eating habits have to change. 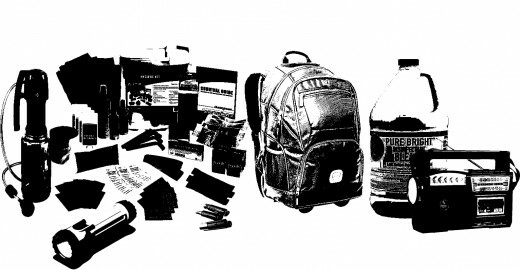 With limited fuel for heating and cooking food, no refrigeration, and limited water supplies you will have to be prepared to rations food and cook what you can with what you have. Try to eat as much canned, dehydrated, and prepared ready to eat foods as possible to save on fuel. If you have a fireplace use it for cooking by wrapping food in foil packs to heat it up. Try to have sterno fuel cans in your gear. Make a hobo stove or oven out of old tin cans are large drums to boil water for teas and soups. Use those canned foods that will go bad first. Use this sites Storeitfoods.com list as a guideline. Rotate your oldest supplies to the front of your storage so that you use those first. Use foods that need very little to no preparation. Foods like dehydrated fruits and vegitables either canned or vacuum packaged can keep for a very long time. Again rotate your oldest supplies to the front of your storage and use them first. When all your resources for food are used up you will have to forage. Dandelions and other wild flowers and plants can be used as both medicinal cures and food. Trapping rabbits alive is a good idea as long as you can build a pen to house them in. Having rabbits for fur and food is a good idea since they reproduce rapidly and are easy to take care of. Collecting wild seeds and planting them will yeild you a good crop for the future. Commercial canned foods can always be eaten straight from the can. Do not eat from cans that have any residue around the rim of the can because of botulism. Reuse your unused canned liquids to make soup stocks for other meals. Use left over fruit juices for salads and for meat marinades. Boil water that you use for cooking for ten minutes. Do not eat foods that spoil easily like meats from an unknown or questionable source. If feeding a child make sure you have powdered milk and canned milk. (always use a fresh bottle and open a new can to feed the child and use boiled water for the powdered milk). Always use clean utensils when eating. 4. Prepare and eat foods in their original containers, if possible. This will help if dishwashing facilities are limited. Here is a list of environmental health issues when trying to survival out in the wild; heatstroke, hypothermia, diarrhea, and parasites. These things are treatable with modern medicine but when there is no drug store to go to you will have to know how to care for them yourself. If a person's core body temperature reaches over [105 degrees F]) this can cause heatstroke. Heat can cause other problems such as cramps and dehydration. Delirium, which can cause pallor, a bluish color to lips and nail beds (cyanosis), and cool clammy skin. What to do! Get the person to cool down as quickly as possible. Submerge them in cool water or any water source. Keep their under-arms, their neck, and their crotch cool with water. Wet their head since most of the heat from the body is lost through the scalp. Rehydrate with plenty of water. If your feet are exposed to wet conditions just over freezing your muscles and nerves may become damaged. If this happens gangrene can set in and cause the flesh on your feet to die and this will result in an amputation. Keep your feet dry and have extra clean dry socks. Wash your feet daily. Hypothermia occurs when the bodies core temperature is not maintained above 97 degrees F. Dehydration and lack of sustenance can lead to hypothermia when the body no longer has enough energy to carry blood to the extremities. Keeping the person dry and warm and feeding them warm soup and fluids is key. Place the person by a fire or snuggle close to the person to keep them warm with a blanket. Very common when drinking untreated or contaminated water or spoiled food along with eating off of unclean surfaces. Though in our modern world of convenience diarrhea may seem something of an inconvenience with Milk of Magnesia and Pepto we won't have these remedies available unless you've supplied them and then what happens when they run out? You have to know how to treat it yourself with what is available. Diarrhea can be fatal because of dehydration. Drink very little the first 24 hours. Drink teas with tannic acid this will help control the diarrhea. Hardwood tree bark has tannic acid and if seeped in boiling water for 2 hours it will release the tannic acid. Eat a handful of chalk, charcoal, or powdered bone mixed with clean water and dried citrus fruit every two hours until the diarrhea slows or stops. Water will be your hardest and most important survival resource you must have. There are ways to get water even in the most desperate of times. Here we will go over a few. A dew trench collector a rock, a shovel, some rocks, and a tarp is all you will need for this device to work. Dig a 4 foot wide 4 foot deep hole and place the tarp over the hole with rocks with one clean stone and some fresh leaves at the bottom of the trench. Do this in the late evening and leave it overnight. In the morning go back and remove the stone and the leaves from the trench and collect the dew. A water distillery to clean dirty water a metal drum or a metal trashcan can be converted into a stove if you cut out parts of the side near the open top and then turned upside-down with newspaper and wood to burn as fuel. place a full sealed teapot with a hose connected to the spout to a container next to the stove. The boiled steam will collect into the container. This is distilled water and will be clean of all heavy materials. Retreat the water with two drops of bleach and then wait an hour before drinking. Water cleaning tablets and chemicals using chlorine based bleach with 2 drops per gallon of water you can sterilize water if you leave it for an hour or two. UV Lights using ultraviolet lights you can also kill micro-organisms in water. A Well digging a well may seems like a daunting task but three men can do it as long as they have the right tools. Shovels, 2x4's, ladders, a poly system, rope, buckets, and pick axes are the tools you will need. You can line the well with stones once you have reached the level where water is seeping in filling the bottom of the well. Placing stones at the bottom of the well will help clean the water. Then motor stones around the well wall. In Urban areas an abandoned house or building is a good place top set up camp. Remember to cook outdoors. In the woods the base of a burned out tree, a small tree canopy with a hole dug at the base, or a cave are all acceptable dwellings. (Watch out for animals and their dens since they can be territorial and deadly). If you can find abandoned mattresses and you have a way to debug the mattress then you can use these to build yourself an insulated shelter. If the outsides are wrapped in tarps or plastic then they can even be water proofed and used as outdoor shelters. Using wire or coat hangers and pliers you can connect them to make a semi-permanent dwelling. Cover the front with a plastic sheet to use as a door have it facing a heat-source to maintain warmth. The great thing about this little trick is that the dwelling is insulated. If caught in the cold without weatherproof clothing then find what you can to use for insulation. Newspaper is a great insulator, you can also use leaves if you must. Stuff your clothing with these insulators to keep your body heat. These are basic survival techniques and knowing them can save your life and the lives of those you love. u people r waked the world will end when god says its time i dont thiink it will end this year it will when god says!!! live with it! How to world may end forus humans is anyones guess. I just know like death it is only a matter of time. 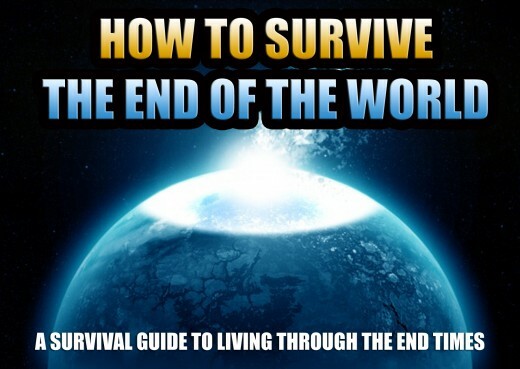 I've read many end of the world books before and this article is the most helpful. I wonder if the world will end this year and if so, how because scientists haven't found anything treating to humans, right??? What about nuclear power plants? Where I would be safe from the dangerous radiation? Even if there wasn't some BIG catastrophe, without people taking care of them they will be only like 2 days in safe mode and then they will break down.. In United States there is 65 nuclear power plants... and they would be way more dangerous than Chernobyl or Fukushima accidents, without any shields build to protect the radiation from spreading all over the world. Go to android apps and review copy of us army survival guide....covers everything. It happen many times in the past, and no more than thousands survive and started over. You have to be inside huge underground caves, with springs of drinking water. You have to stay there for a week, and after to ssurvivr 3 like winter years. this is very helpful thanks Im very intrested of the end of the world but my syblings hate it. i think that its great for people to try and get ready for the end of the world. It makes me want to take that challenge too. It would benefit everyone if more people made an effort to be more independent and responsible for themselves when it comes to this type of thing. Very useful article. Very useful survival guide. Voted up! I should take a printout of this. You wouldn't want to live off rabbits for sure. You'd surely need more protein sources along with fruits and other vegetable matter. You would need to know your local wild animal species and their habits in order to hunt them. You need to know local wild plant species so you can use them for survival. Things like what part of the plants are edible are the roots edible is it good for eating and providing other sources survival like insulation and medicinal properties. Learning these things will greatly increase survival in the long run. Wow, Cow Flipper, looks like you covered everything! Good to know. This is reminiscent of the days in elementary school when we had duck and cover drills. We always thought the "Russians" were behind every bush. Living in Florida, we do a lot of this during hurricane season, also! Good read and reminder. Thank you!